2012 – “Rising Star in Global Health” Awarded by Grand Challenges Canada. Since their introduction at the beginning of the 20th century, the global production of petroleum-based plastics has continuously been increasing. It is almost impossible to imagine our future without the use of the plastics. Polymers have applications in very different areas such as packaging, automotive, aerospace, construction, electronics, medical, and other industrial fields. In the recent years, the development of the polymer nanocomposites has further improved their properties and broadened their applications. More recently, due to depleting petroleum resources and environmental concerns, the research efforts have been directed towards the utilization of the polymeric material from biodegradable and renewable resources as an environment friendly and sustainable alternative for the plastic production. However, the development of the enabling technologies to transform renewable resources into monomers and biopolymers and improvements in their physical properties are among the most pressing challenges and extremely important to be addressed for these materials to be used in wide range of applications. Exploitation of nanotechnology in the field of biopolymers is an emerging and cutting-edge research with future potential to address challenges to the bio-based polymeric materials. Our major research interests are on the synthesis of monomers, biopolymers, nano-engineered biopolymers, nano-biocomposites and bioconjugates from renewable lipid resources for various applications. More specifically the research is focussed on: (1) the development of renewable monomers from lipids and preparation of biopolymers and biopolymer based nanocomposites for high performance industrial applications, (2) utilization of lipid and protein biopolymers for the preparation of bioconjugates and nano-structured biomaterials for water remediation and biodegradable packaging, (3) modification of lipids for therapeutic and cosmetic applications. 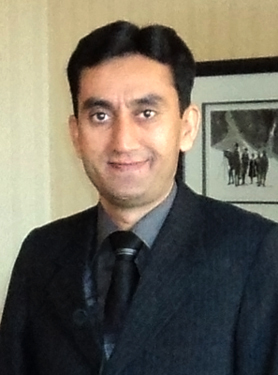 Dr Ullah is a participant in the Land Reclamation International Graduate School (LRIGS) program sponsored by NSERC CREATE. This course deals with fundamentals in bio-based materials development, characterization, and various industrial applications. Current research, recent literature, and real-life applications of biomaterials/bionanomaterials in various industries are discussed throughout the course. Theory and application of physical principles important to understanding agri-food structure and physical functionality. Topics include food materials science, flow, and mechanical properties of foods. Physical concepts examined include mechanics, temperature, heat and thermodynamics. The chemistry of the major and minor food components. Graduate student positions are available for high-caliber candidates in the above-mentioned research areas. Applicants with strong academic backgrounds, communication skills, and training in polymer chemistry and chemical/material engineering are of particular interest. Candidates with self-supporting funds will be considered with priority. Please feel free to contact Dr. Ullah for more information on current projects or to inquire about positions available in lab.